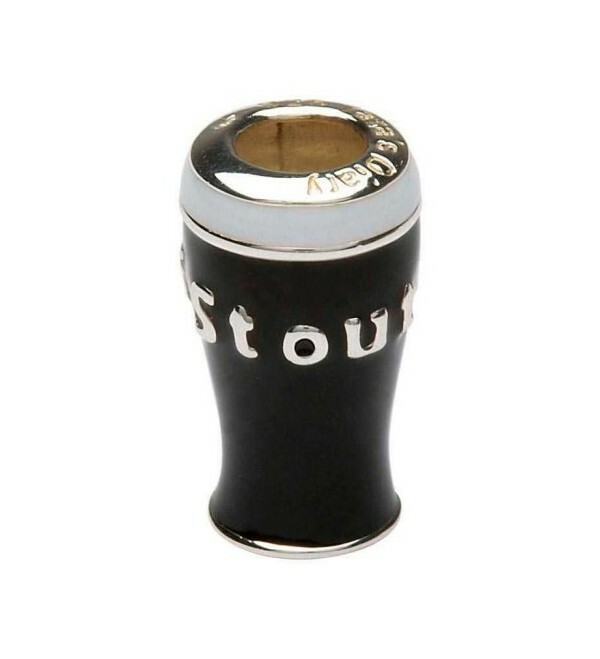 Tara's Diary Sterling Silver Pint of Stout Bead with Scripted Detail and Black Enamel coating. This darling bead is a precious addition to your Tara's Diary Collection. By buying this product you can collect up to 57 loyalty points. Your cart will total 57 points that can be converted into a voucher of $2.85. 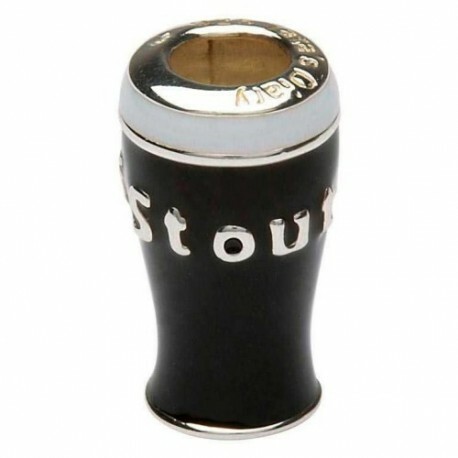 Stout is the dark malt beer of choice in Ireland. In the Emerald Isle, Stout is not just for drinking but is a kitchen staple. Used for sweetening sauces or marinating a classic meat and potato dish, this hearty drink is a go-to. Over Ten Million glasses of Irish Stout are sold every day around the world—and for good reason! This Irish Pint is a healthier option than most light beers. So grab a Pint and Cheers to your special occasion. Whether worn with humor or Genuine Pride, this Pint of Stout Bead is a perfect addition to your ever-growing Tara's Diary collection. String this charming bead onto your Sterling Silver or braided leather bracelet from ShanOre to mark your 21st birthday or celebrate a promotion with a raise of the glass! This endearing piece is a must have bit of Irish Culture. Whatever the celebratory occasion, remember it with a Pint of Stout!